A reminder to all that pre-season training commences this Tuesday, November 15 at 6pm sharp at Gary Smorgon Oval. BE THERE! The AJAX Football Club is very pleased and excited to announce Nicole (Nico) Taylor as our senior Women’s coach for season 2017. Nicole returns to our club after a season assisting Marnie Rosenberg in our inaugural year in 2015. Marnie will also be returning in a role ably assisting Nicole. Both ladies bring many years of playing and coaching experience from St. Kilda Sharks, one of the premier and leading clubs of the VWFL. In more exciting news for our Women’s program, the VWFL have advised that Ajax FC will be now playing alongside our Men’s program in the VAFA. More to follow on that news………. Nicole will hit the ground running and has asked for all the girls to attend an information session at 6.30pm on Tuesday, November 22 at the clubrooms. There will also be a short training run after the information session so all girls are asked to attend in training gear. 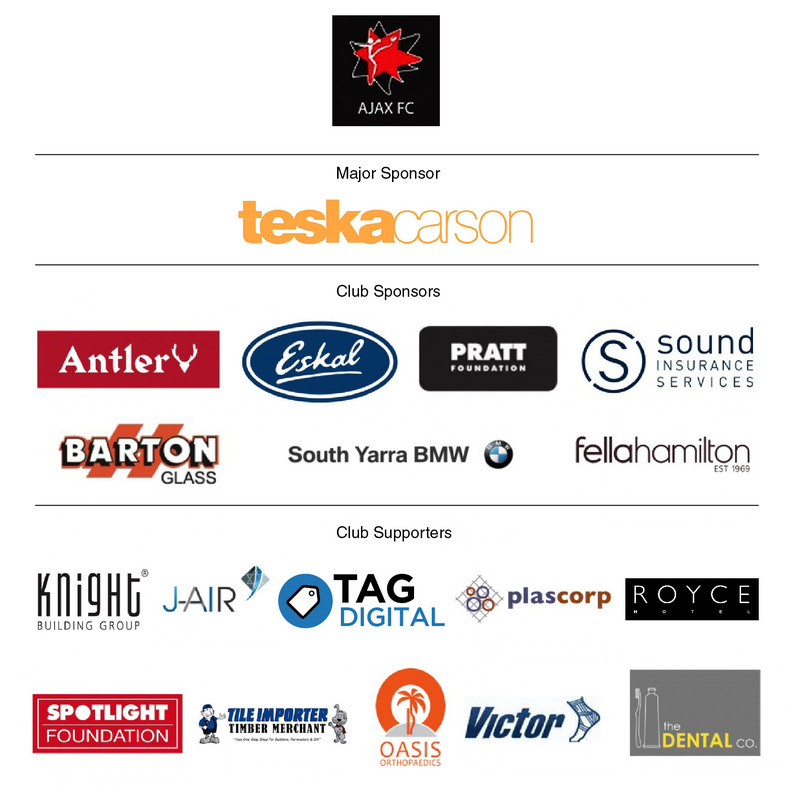 AFFILIATED WITH VICTORIAN AMATEUR FOOTBALL ASSOCIATION & VICTORIAN MACCABI INC.
Notice is hereby given that the 60th Annual General Meeting of the AJAX Amateur Football Club Incorporated (“the Association”) will be held at the Maccabi Offices, Bambra Road, Caulfield on Monday 28rd November at 7.30pm for the purpose of considering and if thought fit, passing with or without modification the following items of business.